Vladislav, Olga, Dmitri and Nikita, as well as instructors from the Prosopon School in Russia and students from Estonia, Russia, England and the United States all met in Esna, Estonia for a week of iconography, iconological theory and late-into-the-night intensive conversation. It was a rewarding week of fellowship in a beautiful setting. 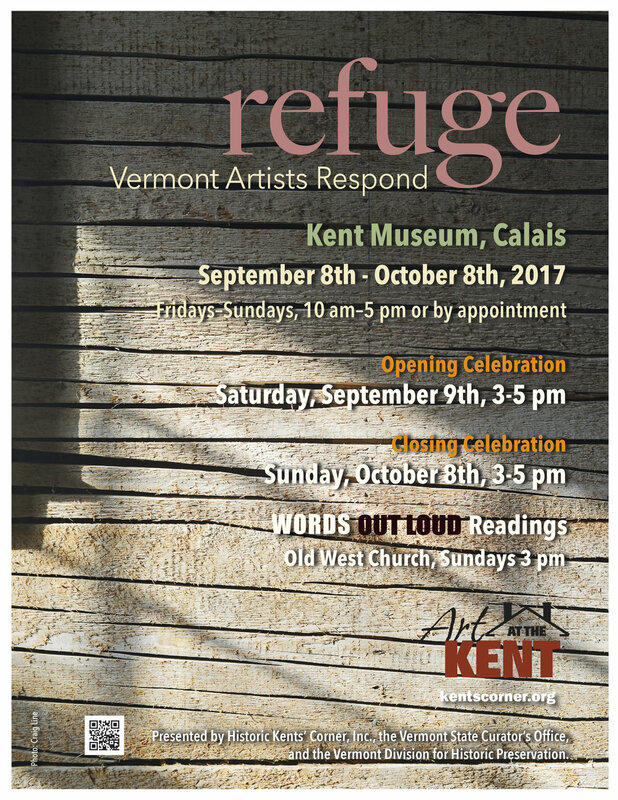 Dmitri is honored to have been invited to join the exhibition Refuge: VT Artists Respond at the beautiful Kent Museum, Kents' Corner, VT. For more information about the exhibition, please visit their website here. The Philadelphia area division of the Prosopon School, led by Susan Kelly von Medicus has scheduled their fall semester, with the the theme Angels and Wilderness. Beginners will write the icon of Archangel Gabriel and advanced students will work on St John the Baptist. For more information, please see their brochure here. The December 16-18 workshop on Gesso and Highlights, sponsored by Archangel Michael Icon Guild, will be held at Holy Cross Orthodox Church in Linthicum Heights, MD. For more information and to register, please visit their website here. On February 18th, Dmitri will be taking part in an ecumenical symposium on the meaning of sacred images at Baylor University. The conversation will address "the distinctive positions each communion takes on images, why images have divided us, and what ecumenical hope there is for a common life with images in the church universal. " "Against Confessional Aesthetics," by Matthew Milliner, Assistant Professor of Art History at Wheaton College representing a Reformed Protestant view. "Corpus Domini, the Lord's Body as the Salivific Image", by Carole Baker, student of Doctoral Studies in Theology at Duke University, representing Roman Catholic teaching. "ICON, the Tradition of Symbolic Realism", by Dmitri Andreyev, Instructor in the Prosopon School of Iconology, representing Orthodox Christian tradition. For more information, please visit Baylor Institute for Studies of Religion here. ...during our 3 Day Gessoing & Drawing workshop at Beckett Studios in Altadena. Beautiful weather and good company! The Prosopon School has been honored with an exhibition, Icon - Tradition - Time, at the Fine Art Academy in Moscow, from Nov. 12, 2015 to January 24, 2016. Painting the cupola of St Michaels Catholic Church, in St Michael, MN, was a massive project, even before our permitted work time was halved. We ascended the daunting scaffold, learned to find the center inside a white, seamless dome, tried to remember north from south with our heads craned backwards, cracked a lot of eggs, and finished on time. The iconographers were lead by Vladislav Andrejev and included Dmitri Andreyev, Br. Anthony Sweer, Nicholas Markell and Yevgeniy Vaskevich. Photographs were taken by Yevgeniy Vaskevich.